I saw a tweet today, which was pretty great. Mix Lolcats with a branded box, and you have the chance to get an influx of brand impressions when the tweet goes viral. 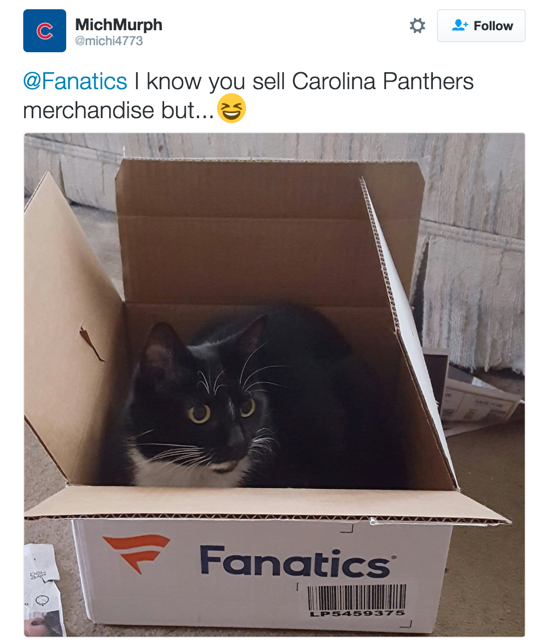 Is this a turning point for the Fanatics brand to go even more mainstream, having a Fanatics branded box as a supporting subject in a lolcats internet meme?